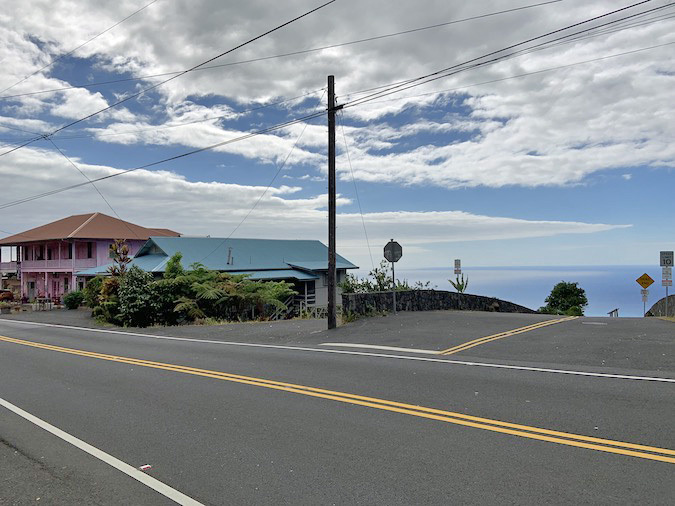 The first time I tried to find the Holualoa artist enclave uphill from Kona, I turned the wrong way and ended up in front of the Aloha Theater in Kealakekua. 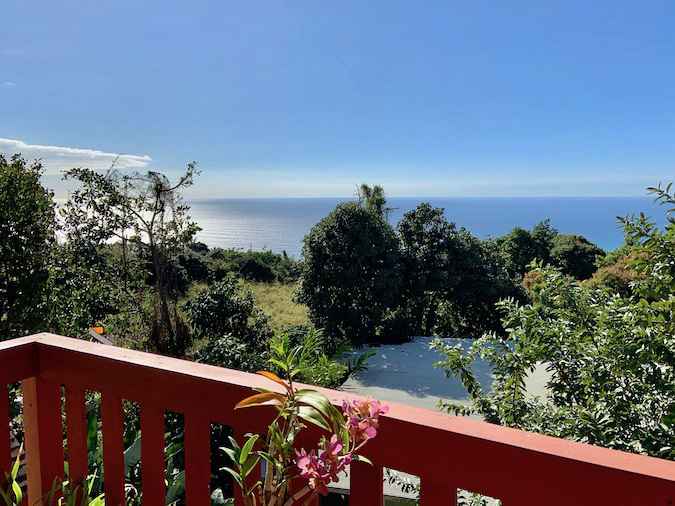 Not only that, but my friends were leaving Holualoa soon, so I drove really fast up and then down the winding road of Hualalai, not wanting to miss them. But I did miss them anyway. Since I had run out of food, the next best thing to do was stop at Safeway on my way home. I zoomed into the parking lot, jumped out of my vehicle and all of a sudden my mouth started to water. The calm before the storm. Wild thoughts raced through my head, like am I gonna endure a forceful regurgitation right here in the Safeway parking lot? Oh, wait, up there on the curb is a trash can. If I can just make it to the curb, I can stick my head into the trash can and pretend I’m searching for the cellphone I accidentally dropped inside while I politely heave, not drawing any attention to myself. Instead, I focused on the sushi restaurant next door to Safeway and reiterated to myself I’m simply hungry. That calmed the queasiness and it vanished as quickly as it started. Motion sickness is a weird thing. When we began our journey up Hualalai Road, I drove much slower. Also, we made a pit stop at Tutu’s Nursery to visit with Barbara Bolton. It was a long shot, but I thought she might have a red sealing wax palm she’d be willing to part with but no. Instead of coming away with a lipstick palm, we bought a giant avocado named Linda instead and proceeded on our way to the Holualoa artist enclave. This time, when I got the fork in the road, I turned left instead of right. Must have missed the clever sign with the arrow pointing toward the artist galleries the first time around. Well, first on the order of business in the town of Holualoa was lunch! My husband was very interested in the Tuesday Tacos at a place that, well, I wouldn’t say food poisoning was totally out of the question. 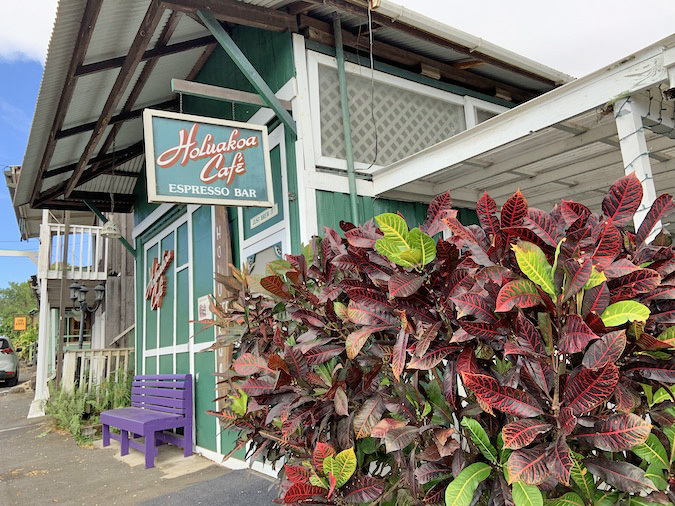 It seemed the Holuakoa Cafe would give us more dining options. 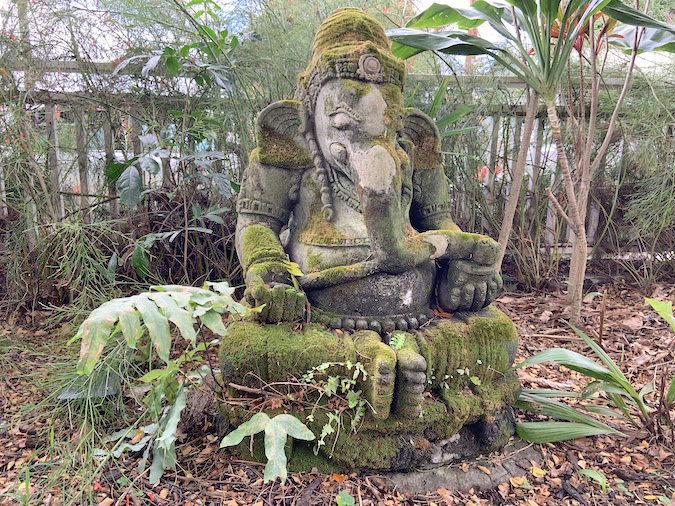 Above is a statue of the Hindu God Ganesha in the garden of the Holuakoa Cafe, located along the Mamalahoa Highway in Holualoa artist enclave. My husband Adam ordered the frittata, but I opted for the ahi tuna melt and a Longboard Island lager. I didn’t eat all of the bread as it seemed a bit much but the tuna was delicious. 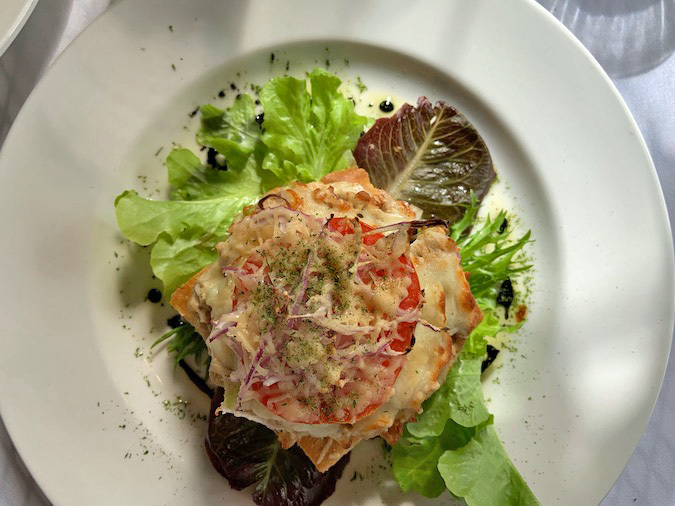 Should also mention the extensive wine menu. I spotted a Kurayoshi malt whiskey, which I considered but it was also the middle of the afternoon. We had art galleries to visit. In this photo, you can see the Kona Hotel (the pink hotel) on the left, and the wonderful view down the perpendicular road. It looks like the world is flat, and if you drive over that hill you’ll fall off the edge. I’m sure there are people in Kona who believe that, along with the ones who won’t vaccinate their kids, follow conspiracy theories and believe fake news. A friend of mine in Kona said she doesn’t use a microwave because she doesn’t want “that” in her food. Yet, she uses a cell. But I try not to judge people and look for the sides of their nature to which I can relate. We all have goofy quirks. 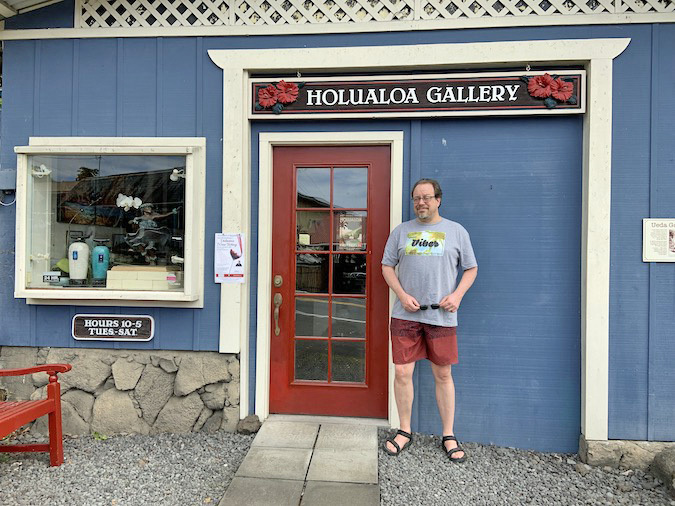 Adam is looking a bit impatient because I asked him to stand by the red door of the art gallery in the Holualoa artist enclave. Like he does not want his picture taken, especially if he is simply standing there and not goofing off. Although, he was very upset when I once published a photo of him with green beans hanging out his nose and a tomato on his head. Hey, why did he stick that stuff on his body and stand for a photo if he didn’t want a photo taken? I dunno. 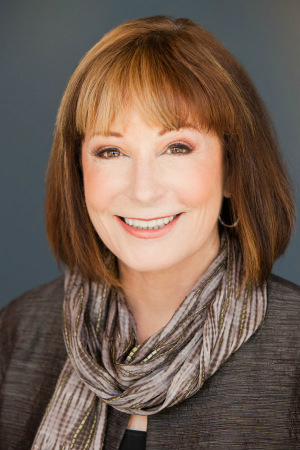 We visited Barbara Hanson’s art gallery. She makes the most incredible works of art from clay she rolls together and pulls the colors into a shape. She paints them in a very creative style that makes me think of my Oaxacan cats. I did pick up a honu as a memento, a t-shirt at M. Field and a pair of handmade earrings. This Holualoa artist enclave hosts a First Friday event for a couple of hours the first Friday of every month, beginning around 5:30. Might be better to visit in the summer, though, when it doesn’t get dark so quickly. The photo above is the view out the back from the Dovetail Art Gallery. Amazing, isn’t it? It’s also a bit cooler at the higher elevation of 320 feet than it is at sea level in Kona.